The 1965 Planning and Building Law centralized planning under the Ministry of Interior. The law creates a three-tiered structure with national, district, and local levels. Each tier is responsible for creating master plans and implementing approved plans in the areas under its jurisdiction. On July 18, 2005, the Ministerial Committee on the Non-Jewish Sector, chaired by then-Prime Minister Ariel Sharon, announced a comprehensive development plan for the Abu Basma Regional Council. The government promised to invest NIS 470 million over three years (2005-08) to develop education, health, employment, and social services and to provide utilities, infrastructure, housing, and agricultural lands.118 Yet government ministries have handed over little of this money. In 2005 Abu Basma was supposed to receive NIS 30 million from the ILA for planning and construction, NIS 14 million from the Ministry of Transport for building roads, and NIS 4.6 million for the Ministry of Health for constructing and maintaining health facilities. In fact, the council received only NIS 210,000 for construction and planning, NIS 56,000 for sanitation, and NIS 318,000 for water infrastructure.119 When Human Rights Watch visited several of the Abu Basma villages in March and April 2006, they were indistinguishable from their unrecognized neighbors. In Israel, planning is highly centralized and, by law, the only way for individuals to participate in the process is by submitting objections to particular plans. Large parts of the system do not encourage participation or protect the right of various sectors of society to be fairly represented. Yet in practical terms, Israels Arab citizens, especially the Bedouin, remain systematically marginalized in the planning process. First, they are very thinly represented on any of the planning committees. Second, the master plans rarely take their needs into account. Israeli planning authorities have created plans to address the needs of particular communitiesfor example, the National Master Plan TAMA 31 in the 1990s dealt with the absorption of a large number of immigrants from the former Soviet Union. However, planning authorities have never designed a master plan to address the needs of the Arab community, even though Arab communities rank among the most distressed, with chronic land and housing shortages, poor economies, and low employment opportunities.123 Regional master plans have also never properly addressed the dire need of the Bedouin of the Negev for adequate housing and residential options. When the Southern District Plan (TAMAM 4/14) was first formulated, it completely ignored the existence and needs of the Bedouin in the unrecognized villages. After the Association for Civil Rights in Israel (representing the villagers, the RCUV, and Dukium) petitioned the Israeli Supreme Court, the planning authorities acknowledged the discrimination and, in July 2001, as part of a settlement with the court, agreed to meet with the petitioners and representatives of the communities to discuss ways to integrate the housing and residential needs of the residents of the unrecognized villages into the Master Plan.124 However, this process has dragged on for seven years; while some improvements have been made, the Plan still ignores the needs of most of the unrecognized villages. Local commissions that are part of the elected leadership of a community are more likely to be in touch with the wishes of their constituencies and to try to respond favorably to their needs. An elected local commission also provides avenues for greater community participation in the planning process and is accountable to community residents. Conversely, in communities that have ministry-appointed local commissions, the central government has great control over planning and development, with minimal participation from affected populations and no means for residents to hold the local commission accountable. At the far end of the spectrum, when it comes to local planning, lie the Bedouin unrecognized villages of the Negev. Since these villages are not officially recognized as residential localities, they do not fall under any local authority or the jurisdiction of any local commissions. As a result, they have no vehicle through which to propose municipal plans for their localities or determine the future of their communities. Since the submission and approval of a master plan represents the only way to build legally, they are forever stuck in a vicious cycleno plan, no permits, and no legal community; no legal community, no possibility to plan and issue building permits. The only time that planning commissions (on which the Bedouin unrecognized villages are never represented) address the unrecognized villages is when they approve home demolition orders in unrecognized villages that sit on land under their jurisdiction. There are no clear criteria in Israeli law for determining when a new community will be created or when a locality can apply for and be granted official recognition. The age and size of the community do not seem to be relevant factors. Even though the Bedouin villages existed prior to the creation of the 1965 law, they were not included in the original master plans. Thus while Jewish communities with as few as one family acquire recognition, Bedouin villages with hundreds or even thousands of residents do not. 109 The Planning and Building Law - 1965, Sefer HaHokim, 467,p. 307. 111Rachelle Alterman, ed., “National-Level Planning in Israel: Walking the Tightrope Between Government Control and Privatisation”, in National-Level Planning in Democratic Countries, an International Comparison of City and Regional Policy-Making (Liverpool University Press, 2001). 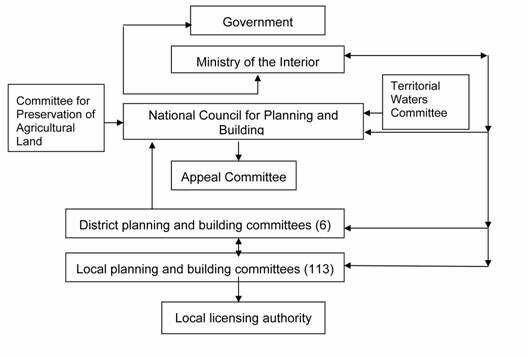 112 Integrated National Master Plan for Building, Development and Preservation  TAMA 35, approved at the end of 2005. 113 Swirski and Hasson, Invisible Citizens, p. 12. 114 Human Rights Watch interview with Amer al-Hozayel, Rahat, April 3, 2006. 115 D. Bachor, The Government Approved th eEstablishment of 14 New Community Settlements, YNET, July 21, 2002 [Hebrew], as quoted in Hana Hamdan, The Policy of Settlement and Spatial Judaization in the Naqab, Adalah Newsletter, Vol. 11, March 2005. 116 Interview broadcast on Israels Channel 2 Radio on July 20, 2003, as quoted in Hamdan, The Policy of Settlement, Adalah Newsletter. 117 Human Rights Watch interview with Thabet Abu Ras, Beer Sheva, April 5, 2006. 118 Comprehensive Development Plan for Abu Basma Regional Council Approved, Prime Ministers Office press release, July 18, 2005, http://www.pm.gov.il/PMOEng/Archive/Press+Releases/2005/07/spokmes180705.htm (accessed May 23, 2007). 119 Planned allocations appear on Budget Complements for Abu Basma Regional Council, Government Decision 3956, July 22, 2005, http://www.pmo.gov.il/PMO/Archive/Decisions/2005/07/des3956.htm. [Hebrew] (accessed May 25, 2007). Abu Basma financial activity on "Annual Supervised Financial report For Regional Council Abu Basma", Department for the Inspection of Local Authorities in the Ministry of the Interior, September 28, 2006. http://www.moin.gov.il/apps/pubwebsite/MainMenu.nsf/ [Hebrew] (accessed May 25, 2007). 120 Protocol of 11/06/2006 meeting of the Knesset Internal Affairs and Environment Committee on Master plans of Bedouin settlements in the Negev and home demolitions. http://www.knesset.gov.il/protocols/data/html/pnim/2006-11-06.html [Hebrew] (accessed May 23, 2007). 121Siach Hadash [New Discourse] v. the Minister of Infrastructure (H.C. 244/00), para. 39. According to one definition, “Distributive justice is concerned with the fair allocation of resources among diverse members of a community. Fair allocation typically takes into account the total amount of goods to be distributed, the distributing procedure, and the pattern of distribution that results.” http://www.beyondintractability.org/essay/distributive_justice/. (accessed November 20, 2007). 122 Israeli Planning Association, Code of Ethics, 2004. 123 See Chapter VII for information on the poor socio-economic status of Bedouin government-planned townships. 124 Email from Banna Shougry-Badarne to Human Rights Watch, June 18, 2007. 125 Human Rights Watch interview with Ariel Dloomy, Rahat, March 29, 2006. Banna is a lawyer from the Association for Civil Rights in Israel (ACRI). 126 In areas where a local committee includes the area of more than one local authority, the Minister of Interior appoints an eight-member local committee, consisting of the official in charge of the district or his/her representative, and another seven members whom the Minister appoints from among a list recommended by the local authorities. Representation is not mandatory for all authorities. From: Hana Hamdan and Yosef Jabareen, A Proposal for Suitable Representation of the Arab Minority in Israels National Planning System, Adalah Newsletter, Vol. 23, March 2006. 129 In the Northern District Planning and Building Committee there are two Palestinian members (men) out of 17, even though Palestinians make up more than half of the districts population. The Southern District Planning and Building Commission covering the Negev also has only one Bedouin member: the mayor of Rahat. 130 In December 2003 the Ministry of Interior created the Abu Basma Regional Council, which was officially launched on February 3, 2004. The Ministry tasked Abu Basma Regional Council with running the newly-recognized Bedouin villages. 131Protocol of November 6, 2006 meeting of the Knesset Internal Affairs and Environment Committee on Master plans of Bedouin settlements in the Negev and home demolitions. http://www.knesset.gov.il/protocols/data/html/pnim/2006-11-06.html [Hebrew] (accessed May 23, 2007). 133 A plan for a new community will be approved after HOLENTA (the Committee of Fundamental Planning) presents its recommendations to the National Council. TAMA 35 (National Master Plan)  Directives, November 2000, p. 20, http://www.moin.gov.il/Apps/PubWebSite/publications.nsf/All/7DCAB7169E94789F42256A01003B7C57/$FILE/Publications.pdf?OpenElement [Hebrew] (accessed September 17, 2007). 134 Court Case 1991/00. In a settlement with the Court, the Ministry agreed to conduct an examination that the Court was supposed to supervise. This has never happened. Email from Banna Shoughry-Badarne to Human Rights Watch, June 18, 2007. 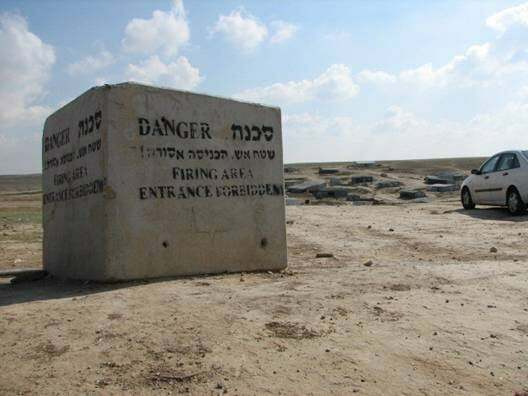 135 Shaar Ha Negev Regional Council website, http://www.sng.org.il/english-site/first.htm (accessed May 23, 2007). 137 See, for example, Israeli government Cabinet Meeting minutes, May 7, 2006 (on file with Human Rights Watch), recording approval for a three-year development plan for the Halutzit dunes communities at a cost of NIS 159.2 for the first phase. The government also tasked a team of directors-general of various ministries to prepare a three-year plan for the establishment of residential communities in the Lachish district including expanding Amatzia, Shomriya, and Sheke that also housed Gaza evacuees. Finally, they decided to allocate NIS 70 million to the Construction and Housing Ministry for the planning needs at another new community, Yesodot. 138 Human Rights Watch interview with Salim Abu Alqian, Um al-Hieran, March 29, 2006. 139 Human Rights Watch interview with Amer al-Hozayel, Rahat, April 3, 2006. While Human Rights Watch has not seen the leaked ILA documents referred to by Dr. al-Hozayel, we have seen the subsequent maps mapping the closed military zones and the new Jewish villages planned or built in those areas. 140 Taken from the Lachish website, http://www.lachish.org.il (accessed February 12, 2007). 141 Agreement to Enable the Establishment of the Gvaot Hazan Community for Evacuees from Neveh Dekalim, Government press release, February 11, 2007. 142 Retroactive legalization of illegal Jewish building occurs in the occupied West Bank as well. One such case involves the settlement of Modiin Illit in the West Bank where an entire new neighborhood of 1,500 apartments was built illegally since the apartments were not part of the original master plan. This illegal building was recently retroactively legalized by the Supreme Planning Council for Judea and Samaria. See Akiva Eldar, Planning council approves illegal West Bank building plan, Haaretz, February 25, 2007, http://www.haaretz.com/hasen/spages/829740.html (accessed February 25, 2007).